We arrived at Vintage Marina at our usual 2:00pm. Today we spent the day removing our belongings, we deflated the dinghy and secured it on deck and spent our time getting ready for the Haul out tomorrow. Friday morning we were up early and feeling a bit nervous. 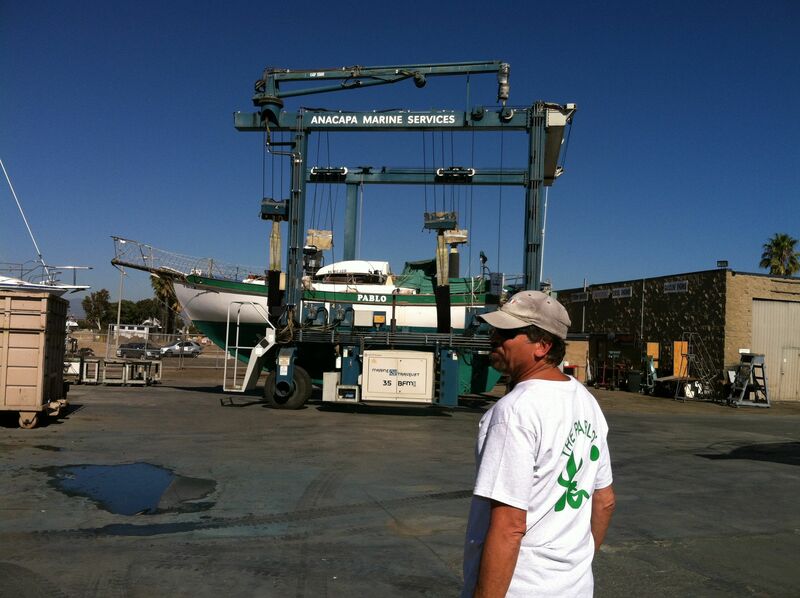 We headed over to the boatyard. 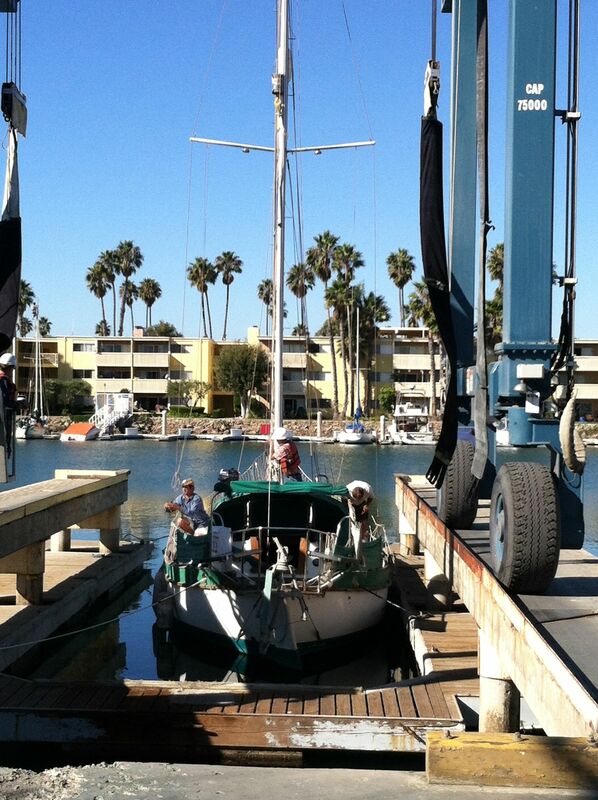 Upon arrival I found that I could not step off and tie off because of the design of the boatyard double decker dock. Luckily the deck hands came to the rescue. 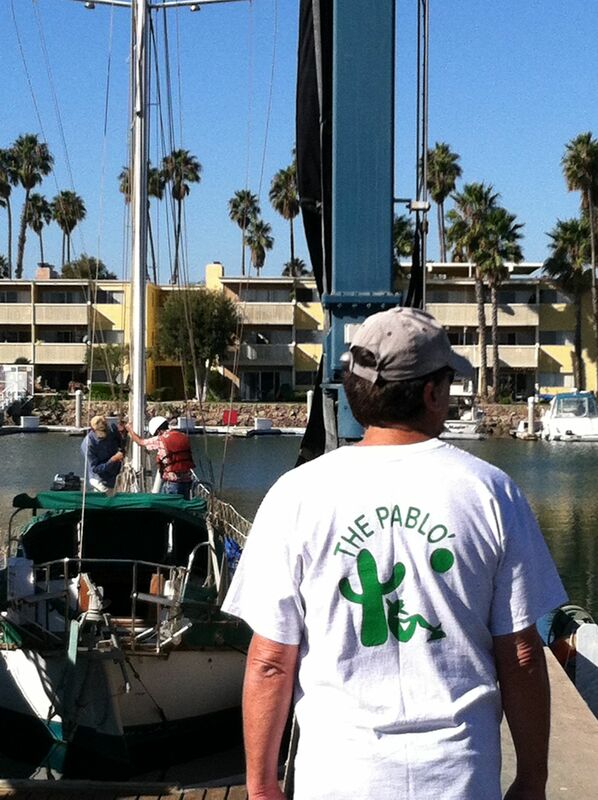 We stood and watched as they put “Pablo” into a sling, removed her mast and hauled her out of the water. Like mother hens we fretted and paced, taking pictures and nervously laughing. We stayed until she was resting in her cradle. We gave her one final pat and sadly left her in this unnatural position. We look forward to getting her back soon with a new motor, new prop, freshly painted mast, working sheaves and new lights. 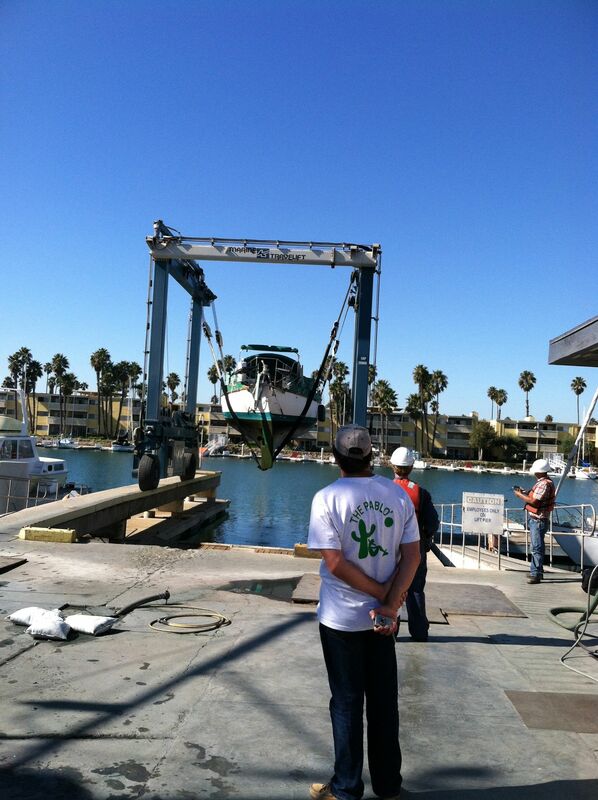 We are so, so ready to take “Pablo” out to sea and to take her home. Surely it won’t be long now!